Not to mention calling Thor a movie “that’s just kinda… ehh…I guess they did the best they could adapting a comic book about a bratty space god.” It’s doubtful that’s the sentiment Marvel’s real trailer for Thor conveyed. The point of all this is that if there’s anything we can learn from the Honest Trailers series, it’s that real trailers aren’t always truthful about the game or movie they’re advertising. That’s where Hatred comes in. The game itself looks horrible, but then that’s a separate discussion. 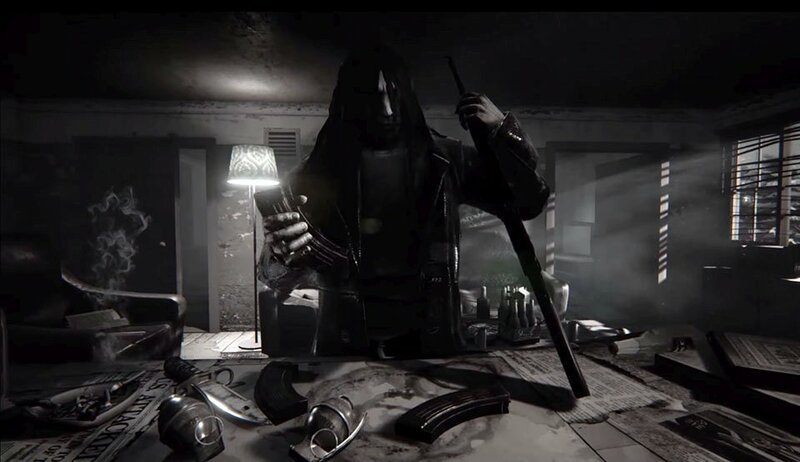 Hatred was recently slapped with an Adults-Only (AO) rating by the ESRB, the ratings authority for the US and Canada. The rating will mean the game will struggle to sell, with major retailers such as Walmart and Target refusing to stock such games. It also rules out a console version of the game with Nintendo, Microsoft, and Sony all refusing to release AO titles on their consoles. The AO rating is so harsh that Hatred is only the second game in history to carry it (it would have been the third, with Thrill Kill set to be rated AO before its release was cancelled after EA bought the developer). The strange thing about all of this is that Hatred isn’t even finished yet. The game itself does not yet exist, and yet it somehow already has a rating. That’s because the ESRB based its rating for Hatred on the game’s trailer, which seems frankly bizarre. Trailers are advertisements, and if you’ve ever looked at the picture of a McDonalds cheeseburger on the billboard and compared it to the messy slop served to you by the bored teenager behind the counter, you’ll know advertisements don’t exist for the purpose of honestly portraying a product. They exist to make people buy it. Hatred has already courted plenty of public attention after its bumpy experience in Steam Greenlight. Valve removed the game from Greenlight based on its description. If you don’t already know, in the game the player assumes the role of a homicidal maniac bent on wiping out “human worms.” A few days later Gabe Newell himself allowed it back onto Greenlight, but by then the game’s removal had already caused quite a stir. The game was quickly Greenlit after that and now has its own page on the Steam store, though it cannot be preordered yet. So when it was time to make a trailer, with the game already basking in some notoriety due to its violent nature, what would the developers see as the logical way to sell the game? Of course, they would capitalize on that notoriety and create a trailer that focused on the game’s most violent aspects. But does that necessarily reflect the entire game? I would argue not. Even if Hatred does turn out to be every bit as gruesome as the trailer suggests (and it likely will), the ESRB can’t possibly know that until they have an actual copy of the game in their hands. PEGI, the European ratings authority, has taken a more sensible approach by staying quiet about Hatred until they are able to look at the game itself. In an interview with PCGamesN, Dirk Bosmans from PEGI said about the trailer, “Destructive Creations were aiming for shock and indignation and it was a marketing ploy that worked well.” He’s not wrong – the trailer has caused a new stir that’s working well at keeping Hatred in the press. All indications about Hatred point to the game being just as violent as the trailer suggests – violence is, after all, the core goal of the game. Even so, the ESRB has been hasty. It’s a terrible idea to assign a rating to anything based on what is essentially an ad. The board should always wait to have a copy of the game in their hands before they judge it, even a game like Hatred. Next articleIs Anyone Really Looking Forward to The Order: 1886?